This is a delicious Indian street-chaat with crisp puris that you can stuff, dip in tamarind water and have fun with trying to eat them whole! 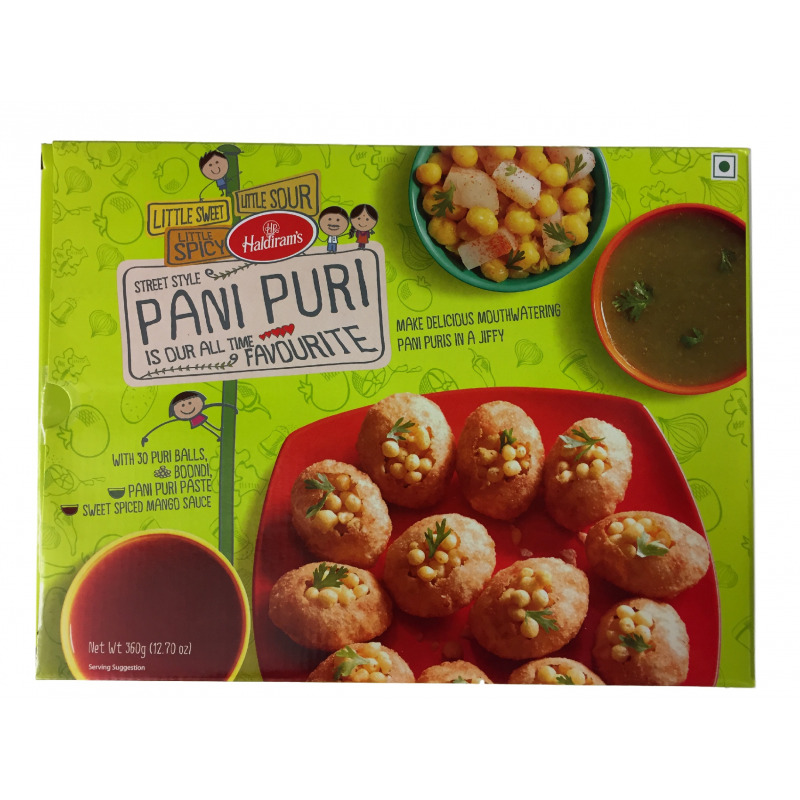 Haldiram’s Pani Puri pack makes life easy and instantly enjoyable for all chaat lovers. It contains: - 30 ready-to-eat Golgappas or pani puris - crisp, round and waiting to be stuffed with potatoes and chickpeas! - sweet-spiced mango sauce - pani puri paste to make the water - boondi Preparation: Pani Puri Water: Add 900ml water to the 140g pani puri paste sachet. Or dilute as per taste. Boondi: Soak boondi in lukewarm water for 2 minutes. Drain excess water. To make Pani Puris: Place pani puris in a large dish and make a small hole on top, in each. Fill a quarter of each pani puri with the mango sauce and pre-soaked boondi. Fill in the pani puri water to taste. Serve immediately. You can also added chopped, boiled potatoes and chana and fresh coriander leaves to the pani puris. 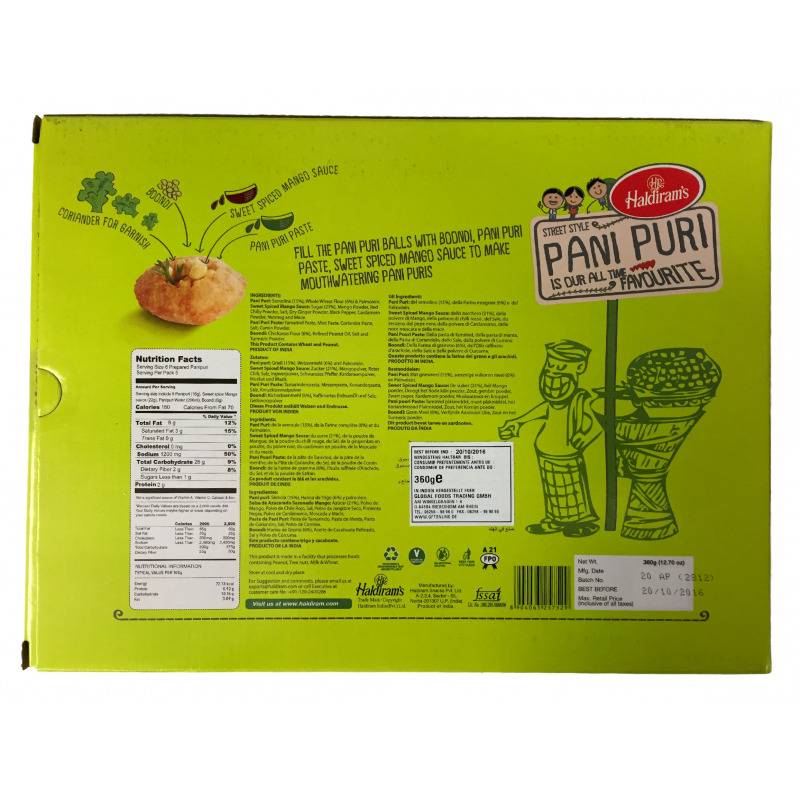 Read more about pani puris here . This is a delicious Indian street-chaat with crisp puris that you can stuff, dip in tamarind water and have fun with trying to eat them whole! Haldiram’s Pani Puri pack makes life easy and instantly enjoyable for all chaat lovers. - 30 ready-to-eat Golgappas or pani puris - crisp, round and waiting to be stuffed with potatoes and chickpeas! 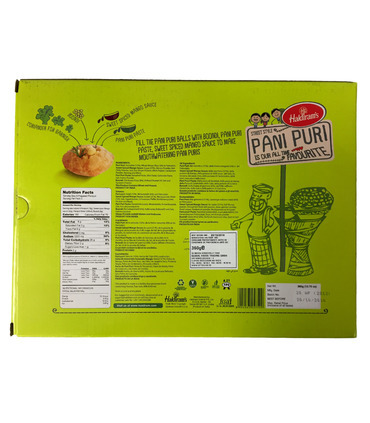 Pani Puri Water: Add 900ml water to the 140g pani puri paste sachet. Or dilute as per taste. Boondi: Soak boondi in lukewarm water for 2 minutes. Drain excess water. 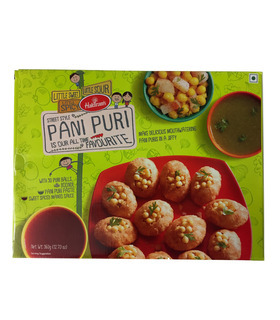 To make Pani Puris: Place pani puris in a large dish and make a small hole on top, in each. Fill a quarter of each pani puri with the mango sauce and pre-soaked boondi. Fill in the pani puri water to taste. Serve immediately. You can also added chopped, boiled potatoes and chana and fresh coriander leaves to the pani puris.